According to sources, six people, including two women, were wounded on Saturday in a blast in Kala Bari market located in the Saddar area of Peshawar. Capital City Police Officer (CCPO) of Peshawar Qazi Jamil said that all six injured were in a stable condition. Earlier, Jamil had had said that four people had been injured in the explosion. At least three stores were damaged by the bomb's impact. 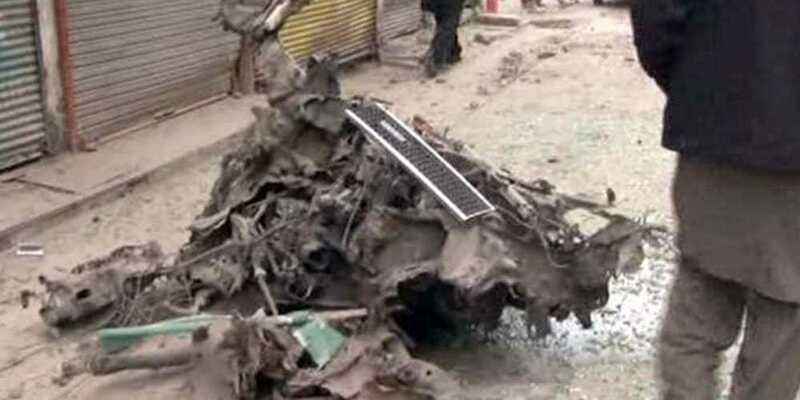 The area was cordoned off by security forces after the explosion. Jamil said that about eight to ten kilograms of explosive material was used in the blast. He added that the material was planted in a white Corolla. “It was an IED (improvised explosive device) explosion and the explosive material was fitted inside the vehicle,” he said. The CCTV footage of the blast shows an identified man parking and exiting the said vehicle before wrapping himself in a shawl. The explosion occurs as he walks out of the frame.